Dr. Lawyer was born and raised in Portsmouth, Ohio. He has been in practice for 24 years after graduating with highest honors from Palmer College of Chiropractic in 1992. He attended Ohio State University for his undergraduate degree. Dr. Lawyer practiced for ten years in a family owned clinic in Portsmouth, Ohio before moving to Columbus in 2002. Dr. Lawyer is board certified by The National Board of Chiropractic Examiners and The Ohio State Chiropractic Board. He is a member of the American Chiropractic Association, the Ohio State Chiropractic Association and the Palmer College of Chiropractic Alumni Association. Dr. Lawyer has completed advanced studies in radiology, rehabilitation, whiplash injury and treatment, headache management, nutrition, musculoskeletal disorders and sports injuries. Dr. Thomas A. Bea was born and raised in Springfield, Illinois. He now lives in Grandview Heights with his wife and their 4 children. 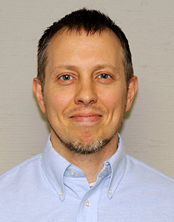 He has a Bachelor's in Human Biology and, in 2006, received his doctorate of chiropractic (Logan College of Chiropractic) and became nationally board certified in both chiropractic and acupuncture. Dr. Bea practices functional medicine and applies multiple disciplines, in order to aid the body in finding balance. Dr. Bea has received 2 postgraduate certifications in acupuncture; a Fellows in the Acupuncture Society of America and a Fellows in the International Academy of Medical Acupuncture. He has been personally trained by many world-class acupuncturists. For many years, he practiced traditional 8 principle acupuncture, but now he predominately practices Distal Needling Acupuncture and I-Ching style acupuncture, including Dr. Chao Chen's Balance Method, Dr. Tan's Balance Method, and Master Tung's style acupuncture. He has been trained in Dr. Tan's Balance Method by Dr. Richard Teh-Fu Tan himself and has been formally trained in Master Tung's acupuncture system through The Lotus Institute of Integrative Medicine. He is also formally trained in Ming Qing Zhu's scalp acupuncture technique. Dr. Bea also utilizes orthopedic acupuncture, such Dry Needling or Trigger Point Dry Needling, when appropriate. Dr. Bea uses a combination of many different type of chiropractic techniques, including very low force techniques or chiropractic instruments. These chiropractic techniques are as follows: Diversified technique, Cox Flexion/Distraction, Thompson's drop technique, Sacro-Occipital technique (SOT), and Activator technique. Dr. Bea holds certification in maternity and pediatric care, and regularly treats pregnant women and children of all ages. Dr. Bea has completed advanced studies in acupuncture, auriculotherapy, herbal medicine, clinical nutrition therapy (including applied kinesiology and nutritional response testing), clinical neurology, neurolinguistic programming, and clinical hypnotherapy. He strives to create balance in the body, by harmonizing structure, nutrition, energy, and emotions. We take pride in making sure our patients feel their best. Our staff is here to help you when you need it most. We have a combined 35 years of experience.